Looking for the best "Chiropractor Near Me in Atlanta, Georgia?" You are in the right place. Arrowhead Clinic is conveniently located at 3695 Cascade Rd, Atlanta, GA 30331 in the Cascade Crossing Shopping Plaza next to Publix Supermarket. We have been serving the Atlanta, Ga community with the highest quality accident injury Chiropractic Care for over 40 years! When you are involved in a car accident in Atlanta, Georgia; headaches, dizziness, numbing, stiffness, memory problems, low back pain, and neck pain can continue for months. If you don't find the right doctor near you, that pain will begin to affect your health and quality of life dramatically. That's what makes finding the right Chiropractor so important after an auto accident. In fact, many people realize that Chiropractic Treatments produce the most rapid and longest lasting results following an auto accident. Chiropractic pain management at Arrowhead Clinic's Atlanta, Ga office is well suited for victims after a car accident; our approaches to care are gentle, safe and always all natural. regular referrals from their primary care physicians to come into our office. The goal is to help your body restore its natural flexibility and mobility while at the same time alleviating residual achiness, soreness, and stiffness. Whether you are a new walk-in patient dealing with back pain or someone who was recently injured in an auto accident, Dr. Turner DC is able to help diagnose your condition and provide the right treatments to get you out of pain. We achieve these results not with harmful muscle relaxers or potent narcotics but with spinal decompression therapy that uses intermittent spinal traction to take stress off injured vertebral joints while concurrently hydrating your discs, Chiropractic Adjustments to facilitate proper motion in the joints, electrical stimulation to reduce muscular and nerve pain in localized areas and much more. "Whiplash" is a casual descriptor of soft tissue injuries in the neck, and it's an operative term mainly because of the public's familiarity with it. The help and care of a chiropractor can quickly relieve your pain and tension, allowing you to return to a normal lifestyle. All treatments given by our experienced chiropractic doctors are natural and safe and preferred by injury victims over costly surgeries and addicting medications that only mask the pain. What Should You Expect During Your First Visit At Our Atlanta Chiropractic Clinic? Did the pain start as a result of an injury? It is crucial to know if the physical damage resulted directly from the Car Accident. 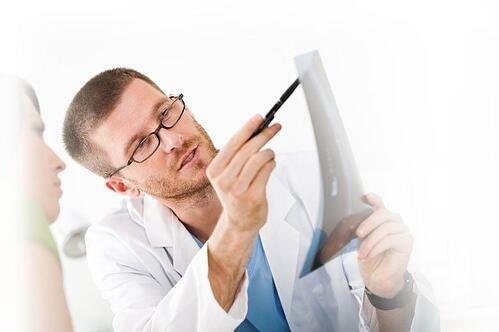 Based on the results of your chiropractic exam and previous medical history, diagnostic studies are helpful in identifying structural abnormalities to more accurately diagnose your condition and provide compelling evidence to the insurance company why and where you need Chiropractic treatment after an Auto Accident. Short-term goals include lessening pain and restoring normal joint function and muscle balance. Based on your unique situation, Dr. Turner will determine how often you should come in to see her. Sometimes it may be one time a week or it can be multiple times per week when you are in your acute treatment phase. 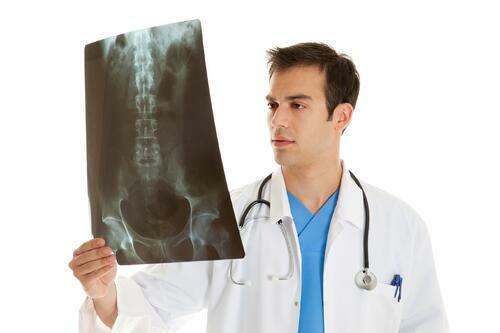 What is Corrective Chiropractic Care and How Does It Help Injury Victims? Specialized and trained chiropractors use chiropractic adjustments, also known as spinal manipulation, to correct the structural alignment and improve your body's physical function. Doctor's use their hands or a small instrument to apply a controlled, sudden force to a spinal joint. Flexion-distraction technique- is a gentle, hands-on spinal-manipulation that involves a pumping action on the intervertebral disc instead of direct force. Instrument-assisted manipulation-uses a hand-held instrument to allow your chiropractor to apply force without thrusting into the spine. Specific spinal manipulation-helps restore joint movement using a gentle thrusting technique. Once our nervous system is compromised, any function of the human body is at risk and can cause further complications. From movement, blinking, and heartbeat, to regulation of hormones, breathing, and vision. And even worse if left untreated depleted nerve energy will lead to pain, fatigue, organ dysfunction and eventually disease. What is the Popping Sound You Hear During a Chiropractic Adjustment? Adjusting a spinal joint may (but not always) result in the release of a gas bubble between the joints called a cavitation, which makes a popping sound. This natural noise is caused by a sudden decrease in pressure within the joint, which results in dissolved gasses in the joint fluid to be released. It is completely harmless. Whether you are in Buckhead, Midtown or elsewhere in the greater Atlanta area, the postural correction and chiropractic care protocols we use at ourAtlanta Chiropractic Clinic are changing the way people get well after Car Accident Injuries & Chronic Pain Conditions. Worried about how much it is going to cost? You shouldn't be, at Arrowhead Clinic, we take the time to evaluate all insurance options including medical and auto insurance to determine the most economical way to get you healthy. Even if insurance is not an option for you, we offer extremely affordable cash plans! If you were recently in an Auto Accident or are dealing with Neck or Back Pain, CALL NOW! 770-961-PAIN (7246) or click the link below for a Free Consultation with one of our doctors at the Best local Chiropractic Clinic in Atlanta, Georgia according to Google Reviews. Dr. Turner is from North Carolina but has traveled all over the country pursuing her career of treating people who have been Injured in Accidents and people who suffer from chronic pain. Dr. Turner is well versed in Chiropractic care with an emphasis on sports-related therapies. She had the opportunity to train under the Chiropractor for the Carolina Panthers in order to complete her Masters in Sports rehabilitation. From there she learned under two other Chiropractors, which allowed her to sharpen her skills and adjusting techniques. Dr. Turner is certified in several soft tissue techniques including Active Release Technique (ART) and Fascial Distortion Model (FDM), as well as a movement diagnosis technique called Selective Functional Movement Assessment (SFMA).